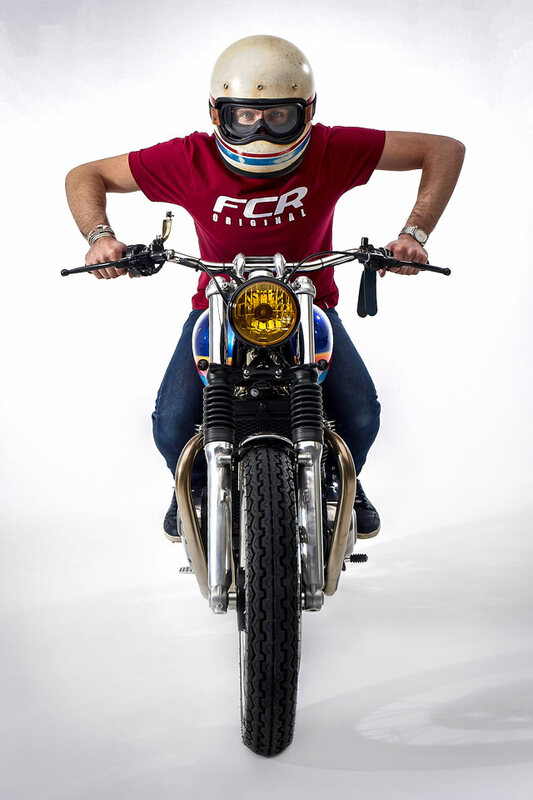 FCR Original are a mainstay of the custom motorcycle scene. Hell, they’re probably the premiere builder in France. 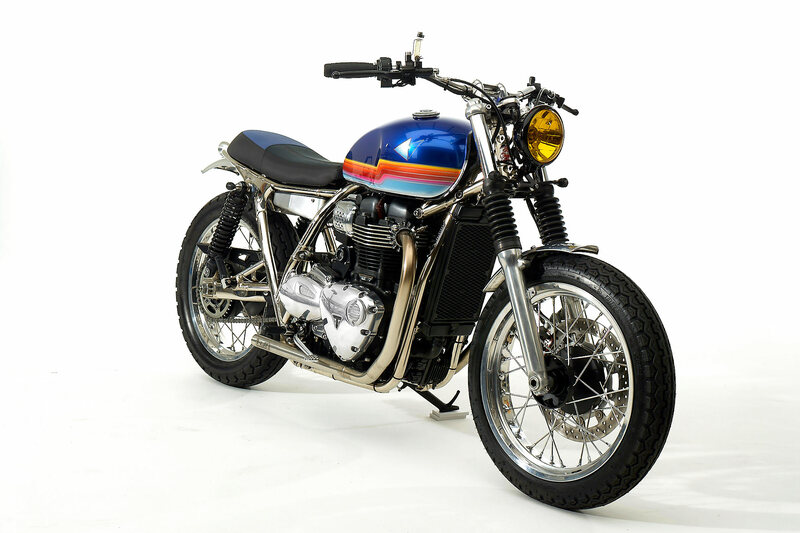 Just look at their past work – their wide variety of customs has had them win show awards and race events around the world. 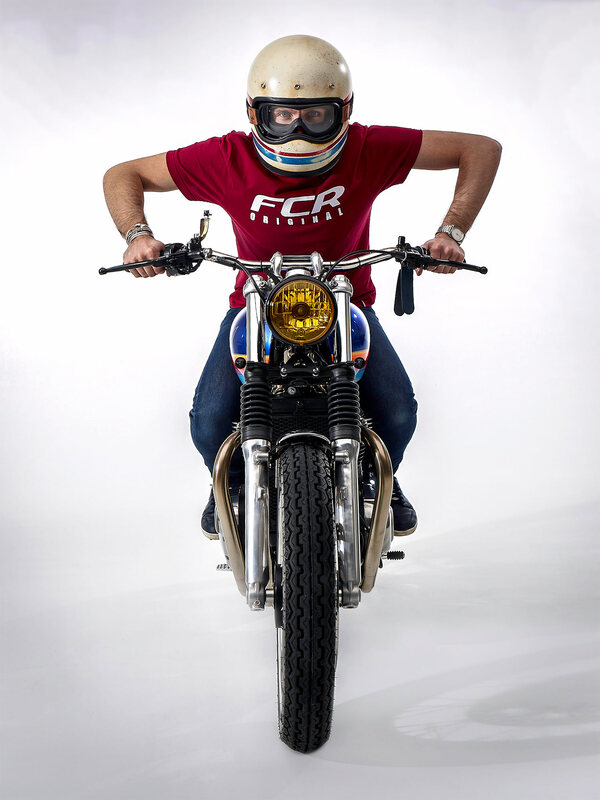 So it’s no surprise that when one half of Synapson, an electronic music group, was looking for a new ride he approached FCR. 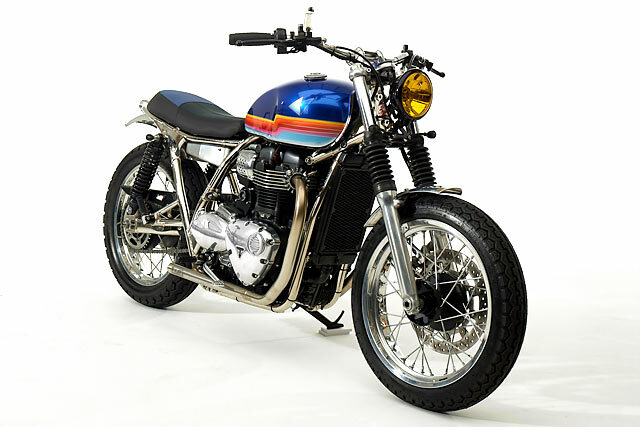 And what he got was this – a beautiful Triumph T100 inspired by their latest album, dubbed ‘Super 8’. 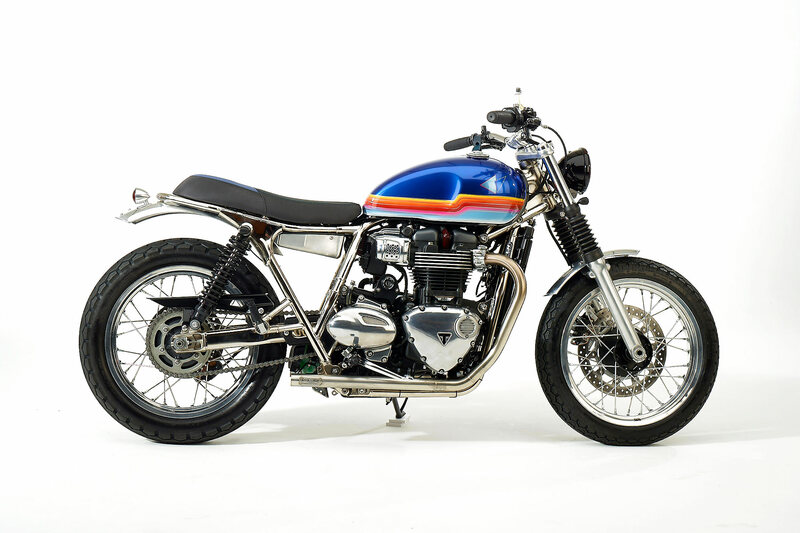 Alright, straight away there’s going to be readers who will groan and ask, ‘why not the Triumph T120?’. It’s simple. Because the T100 is better. 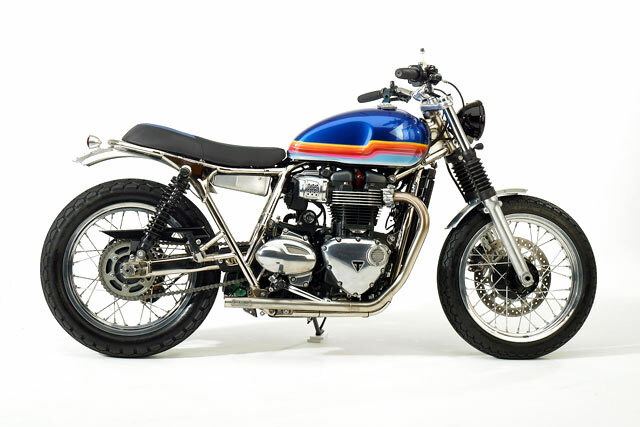 It’s lighter, nimbler and truer to the ethos of the original Bonneville. And when you strip it all down, it’s a smaller bike that’ll suit this pared-back style of build a lot more than it’s beefier older brother. That sounds like a hell of a day out and conjures up some pretty clear images right away. 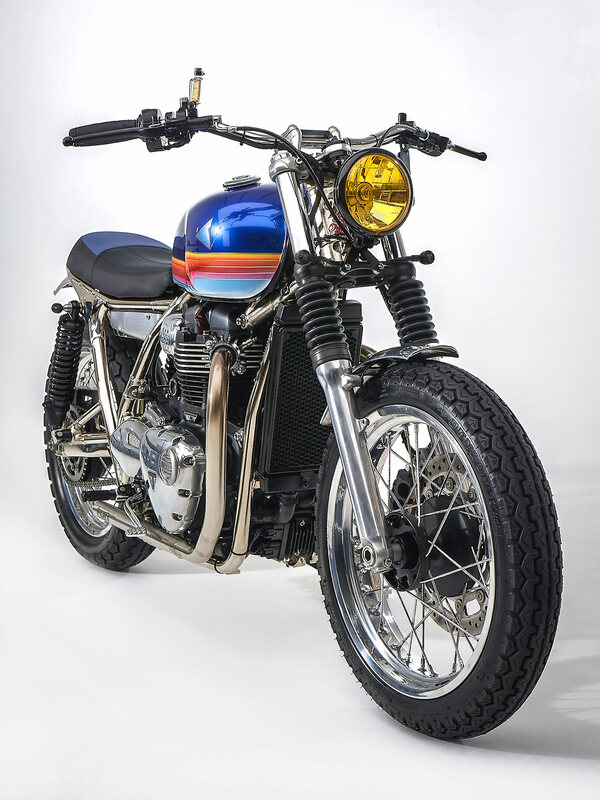 So with that in mind FCR Original purchased the bike new from Triumph, before riding it right back to their workshop for complete disassembly. The first thing to get altered was the frame: the rear of the bike was cut and a new loop added. Then all the powder coating was stripped off, tabs removed and the bare frame nickel-plated. From there the really hard work started on the wiring loom. 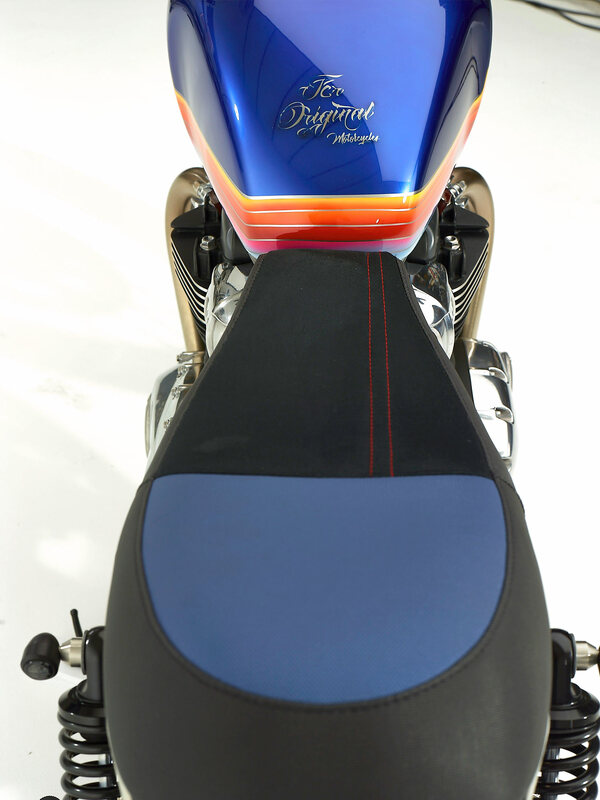 FCR wanted to run a Motogadget speedo to tidy up the standard twin gauge assembly. 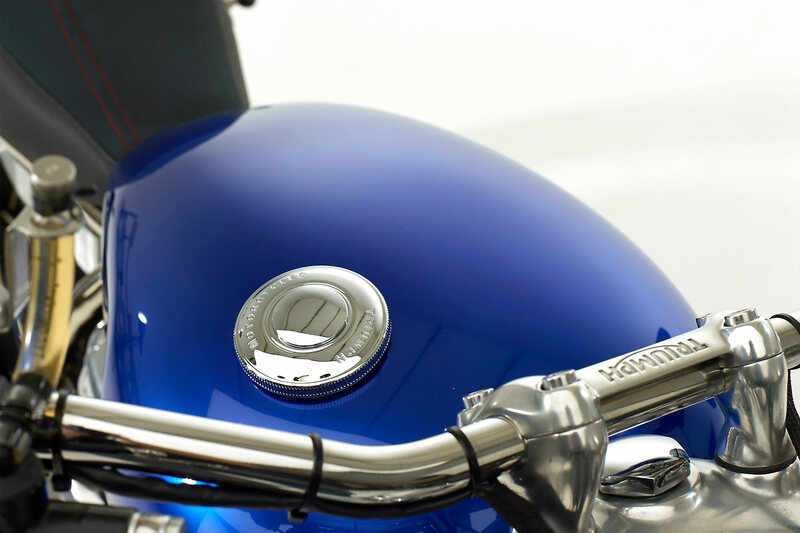 On older models that’s easy – but with a modern bike like the T100 it’s much, much harder. Look at the CAN-bus system on a bike like this. Remove the speedo and the whole thing will shut down. FCR Original scratched their heads and spent no small amount of time making sure everything worked with a simplified loom. 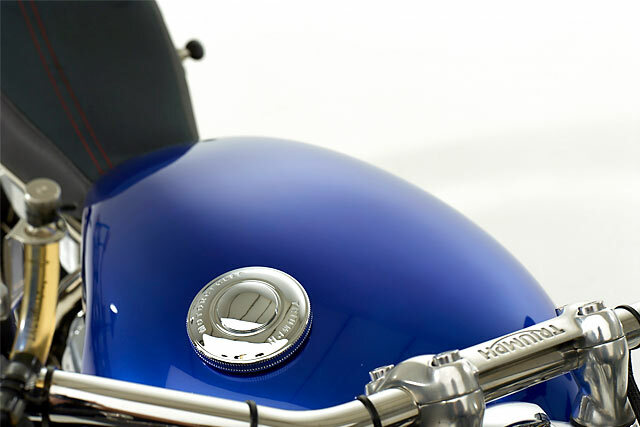 ABS was disabled, the wires laid out and the team went about hiding all the Triumph sensors, connectors and cabling that comes with a new bike. It sounds like a minor thing – just a trim of the electrical system – but believe me when I say this would have taken a hell of a lot of time and effort. All the electrics were carefully arranged in a small underseat box manufactured by FCR, an act of wiring tetris worthy of a photoshoot of its own. Keeping the centre of the bike looking light and the engine inhaling a little more freely are a pair of K&N air filters. 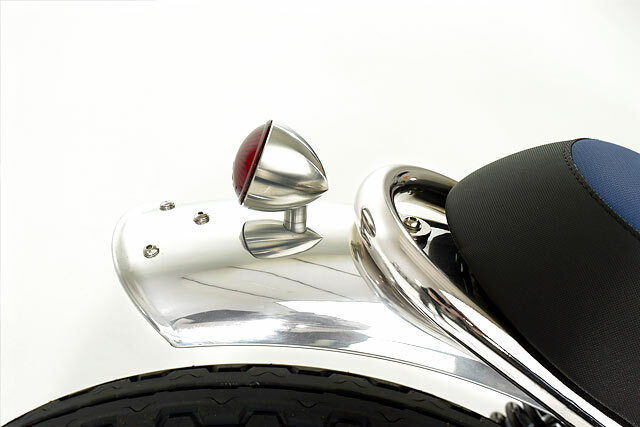 At the rear of the bike it runs a hand-made brake light on top of a rolled fender also made from scratch by the team at FCR. 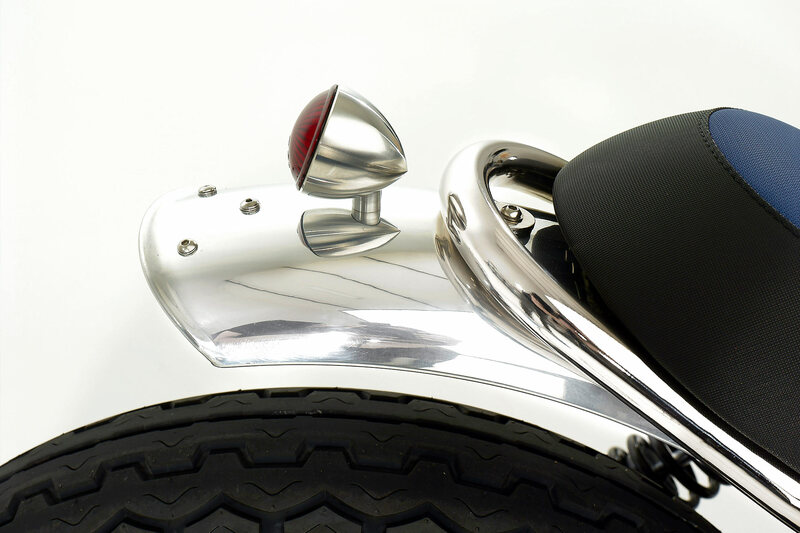 The exhaust is a 2-2 system also made by the team that I truly hope features some internal baffling. The paintwork, also done by FCR, follows the inspiration of the album. 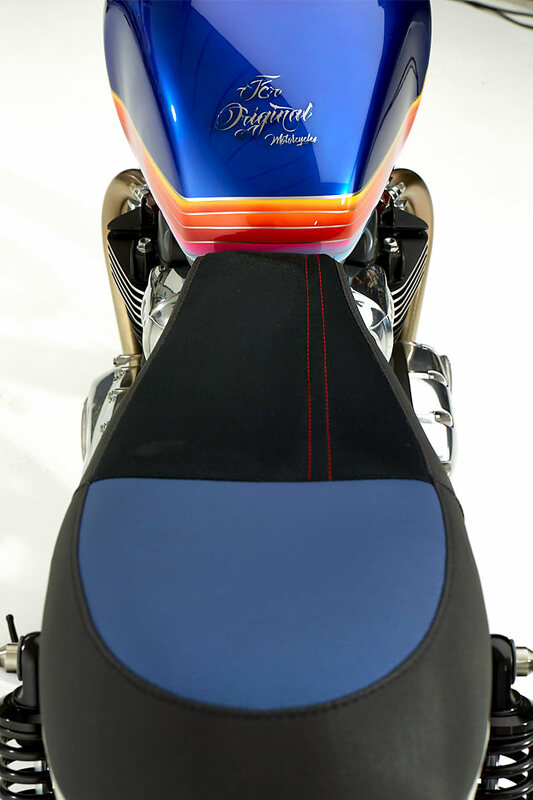 The blue, red and yellow scheme gives it a firm 70’s beach vibe. In a nice touch, the seat has the same colour threading running through it, tying it all together. Underneath all that sits a tidy pair of LSL footrests. 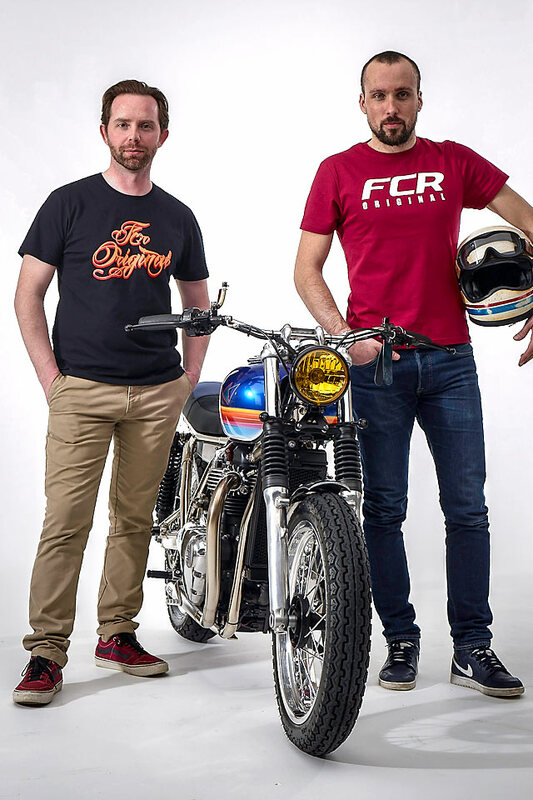 FCR Original have been around for six years and have a staff of 6. 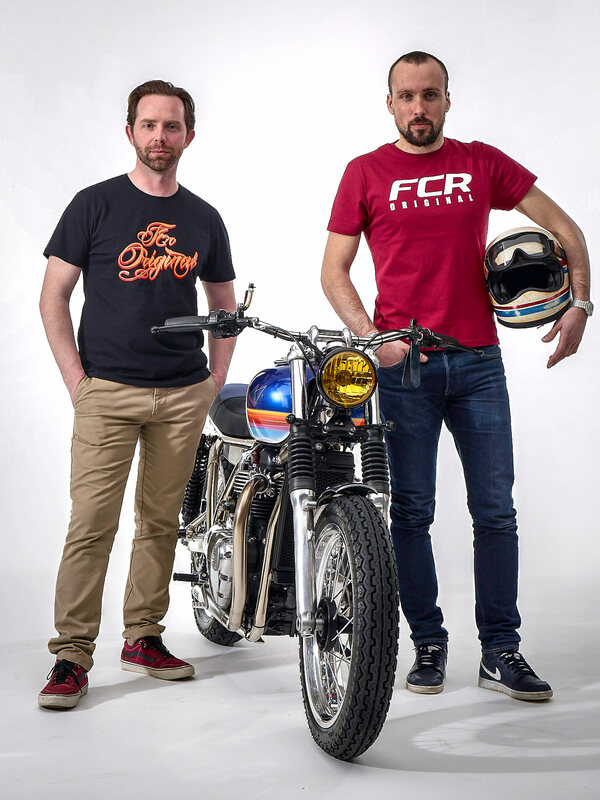 They’re going through a number of big changes at the moment, including a new mechanic and new workshop and new clothing brand to sit alongside their business. 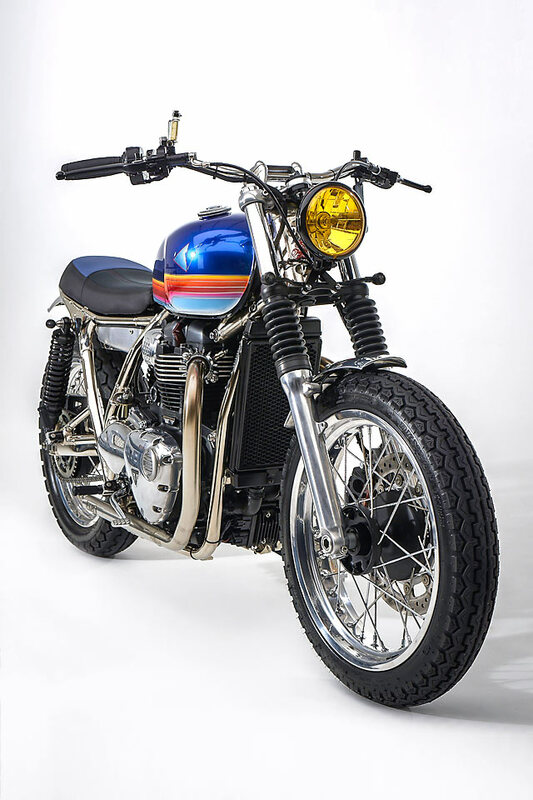 And while they seem to be taking France and Europe by storm with some of their more wild builds, it’s great to see what they can do with a stripped back, fun little motorcycle like this Trumpet T100.